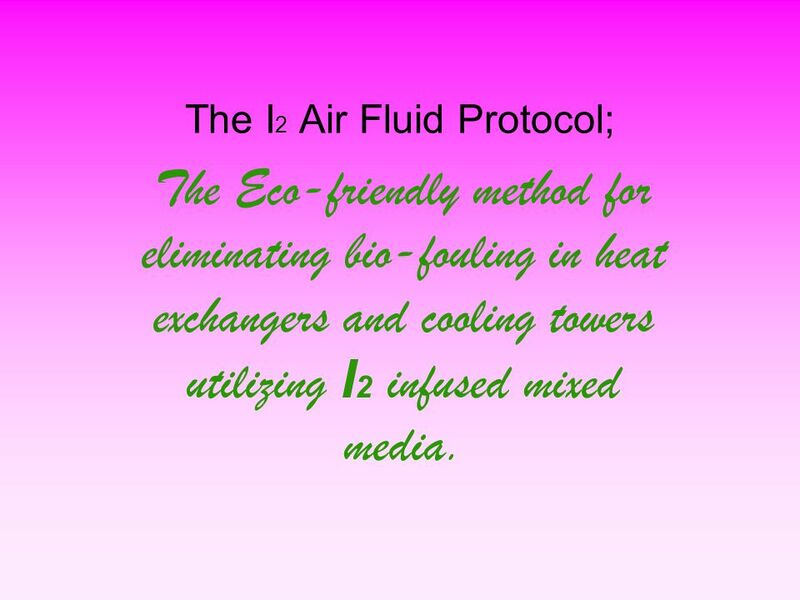 The I 2 Air Fluid Protocol; The Eco-friendly method for eliminating bio-fouling in heat exchangers and cooling towers utilizing I 2 infused mixed media. 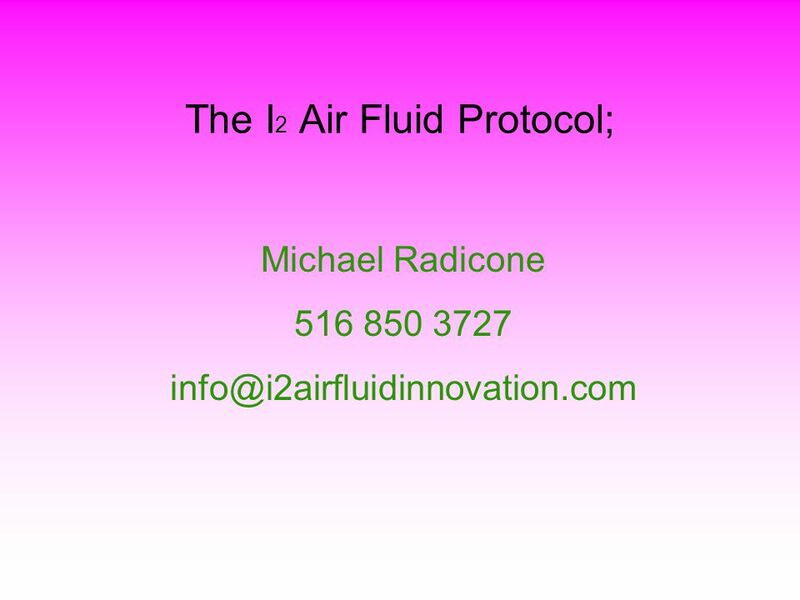 1 The I 2 Air Fluid Protocol; The Eco-friendly method for eliminating bio-fouling in heat exchangers and cooling towers utilizing I 2 infused mixed media. 3 CONFIDENTIALITY STATEMENT: This presentation, including all attachments, is confidential and/or may include proprietary content or intellectual property. This presentation is intended for the sole use of the individual(s) or entity being presented to. If you have received this presentation by mistake, please notify the sender by e-mail immediately and delete this message from your system. If you are not the intended recipient, be aware that any disclosure, copying, distribution or use of the contents of this information is strictly prohibited. Protocol and application is based upon the art and science of U.S. Patent No. 7,329,385 and is the intellectual property of the inventor(s). 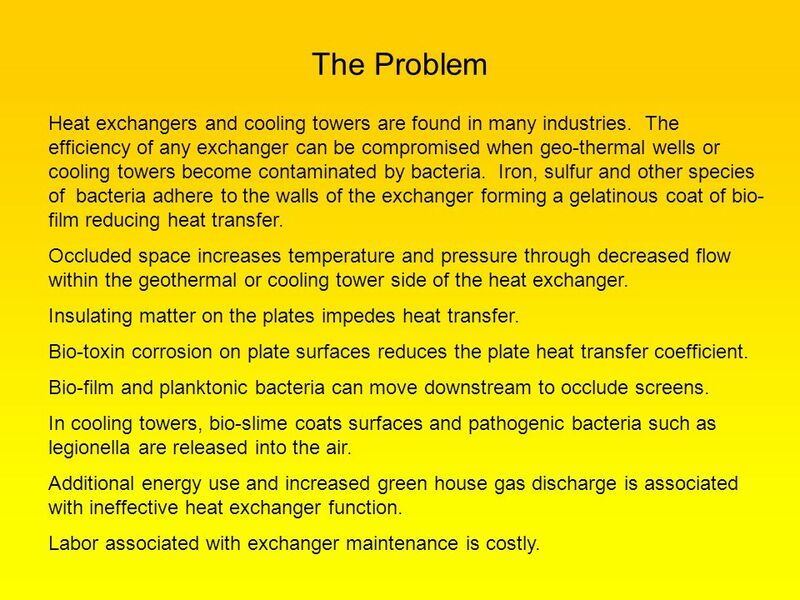 4 The Problem Heat exchangers and cooling towers are found in many industries. The efficiency of any exchanger can be compromised when geo-thermal wells or cooling towers become contaminated by bacteria. Iron, sulfur and other species of bacteria adhere to the walls of the exchanger forming a gelatinous coat of bio- film reducing heat transfer. Occluded space increases temperature and pressure through decreased flow within the geothermal or cooling tower side of the heat exchanger. Insulating matter on the plates impedes heat transfer. Bio-toxin corrosion on plate surfaces reduces the plate heat transfer coefficient. 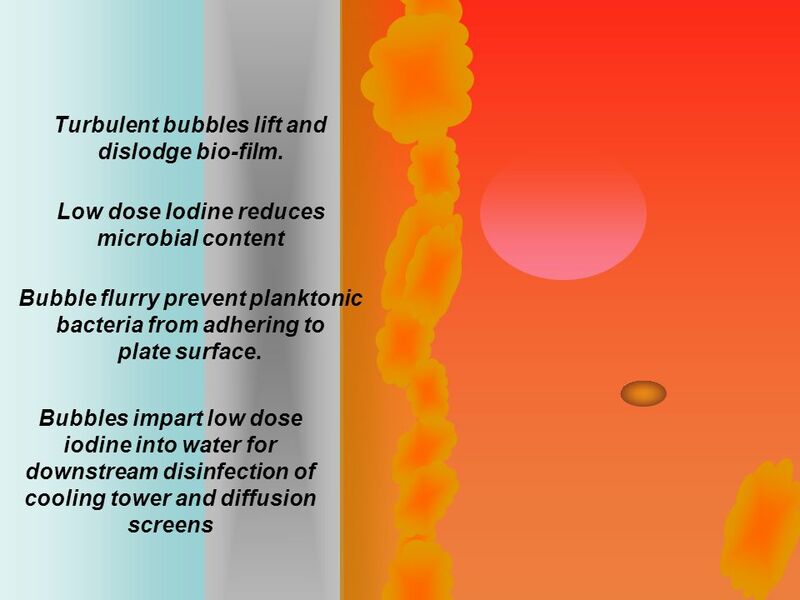 Bio-film and planktonic bacteria can move downstream to occlude screens. In cooling towers, bio-slime coats surfaces and pathogenic bacteria such as legionella are released into the air. Additional energy use and increased green house gas discharge is associated with ineffective heat exchanger function. Labor associated with exchanger maintenance is costly. 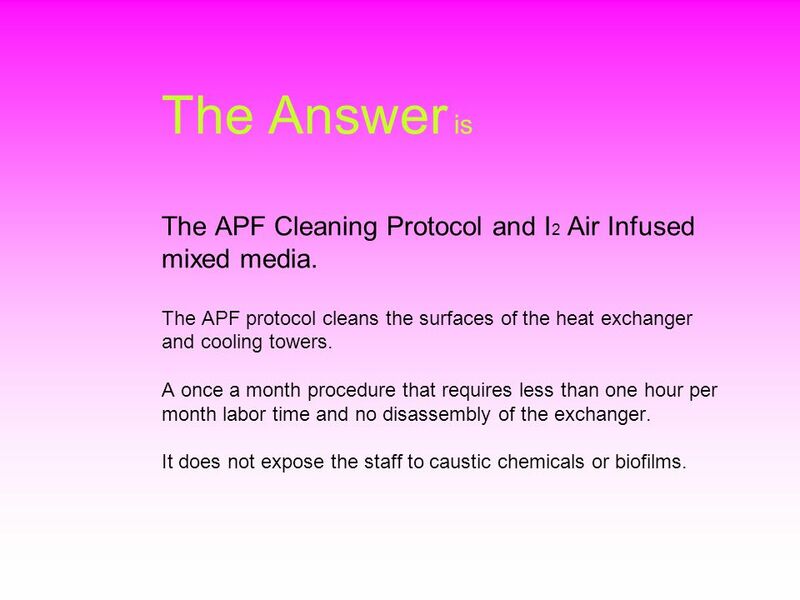 5 The Answer is The APF Cleaning Protocol and I 2 Air Infused mixed media. 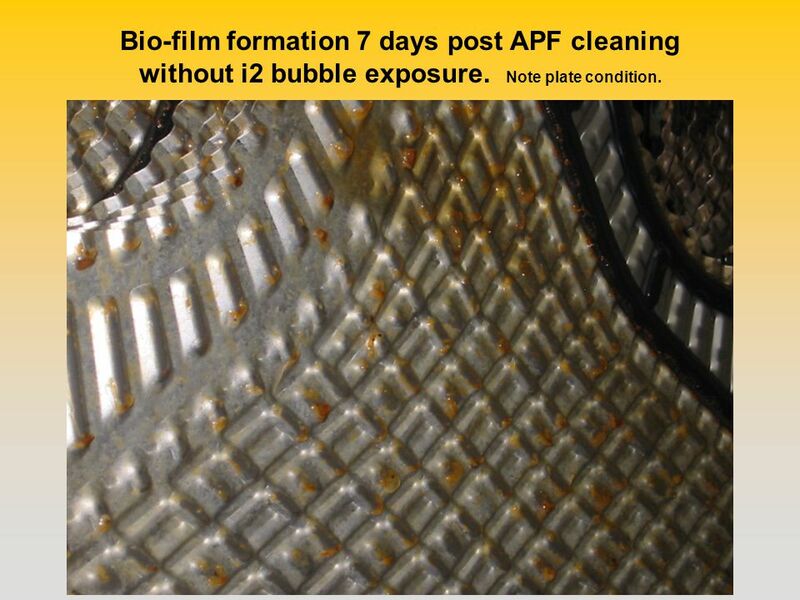 The APF protocol cleans the surfaces of the heat exchanger and cooling towers. 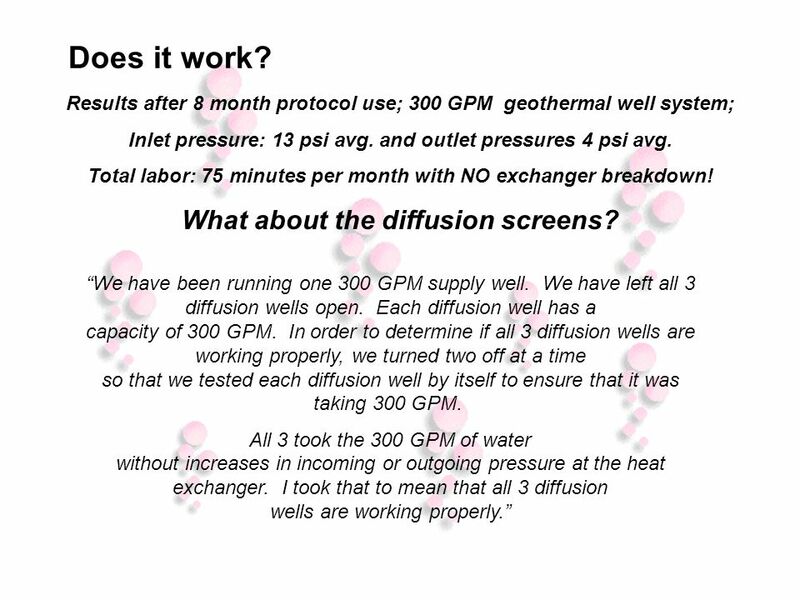 A once a month procedure that requires less than one hour per month labor time and no disassembly of the exchanger. It does not expose the staff to caustic chemicals or biofilms. 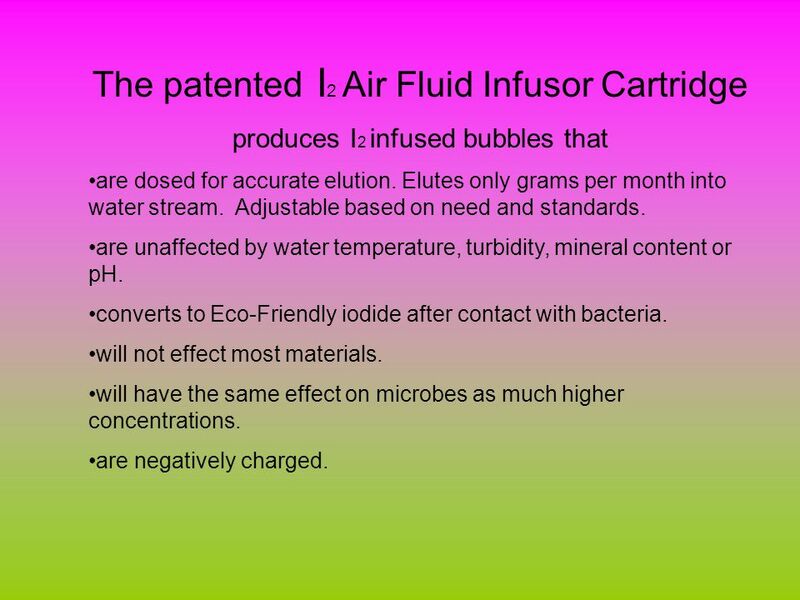 9 The patented I 2 Air Fluid Infusor Cartridge produces I 2 infused bubbles that are dosed for accurate elution. Elutes only grams per month into water stream. Adjustable based on need and standards. are unaffected by water temperature, turbidity, mineral content or pH. converts to Eco-Friendly iodide after contact with bacteria. will not effect most materials. will have the same effect on microbes as much higher concentrations. are negatively charged. 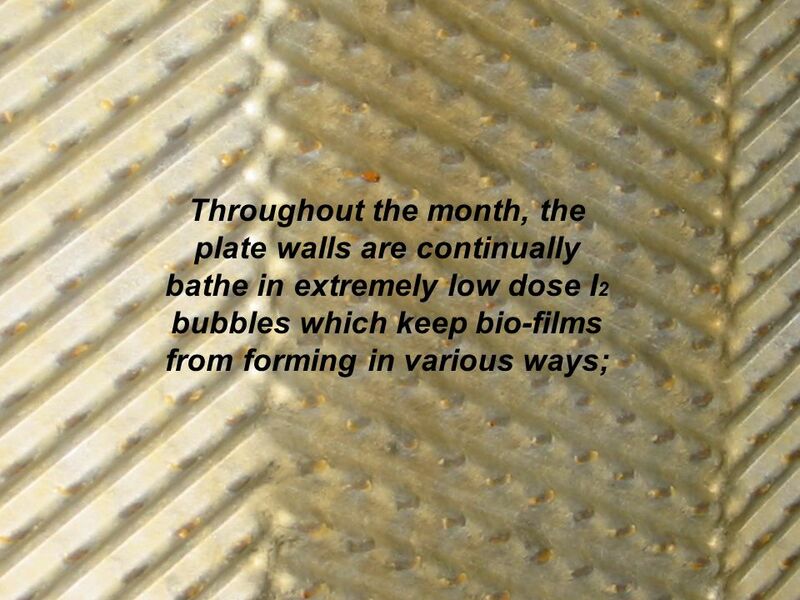 10 The cell wall is exposed continually to new low dose iodine within the air bubbles. Iodine is drawn into the cell and key amino acids in the respiratory chain are broken down. The bacteria is destroyed. 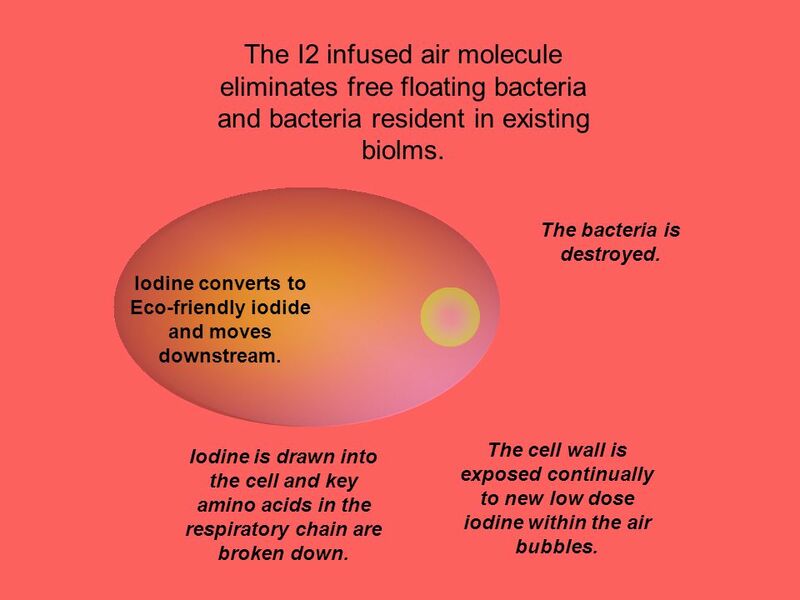 The I2 infused air molecule eliminates free floating bacteria and bacteria resident in existing biolms. Iodine converts to Eco-friendly iodide and moves downstream. 11 Bio-film formation 7 days post APF cleaning without i2 bubble exposure. Note plate condition. 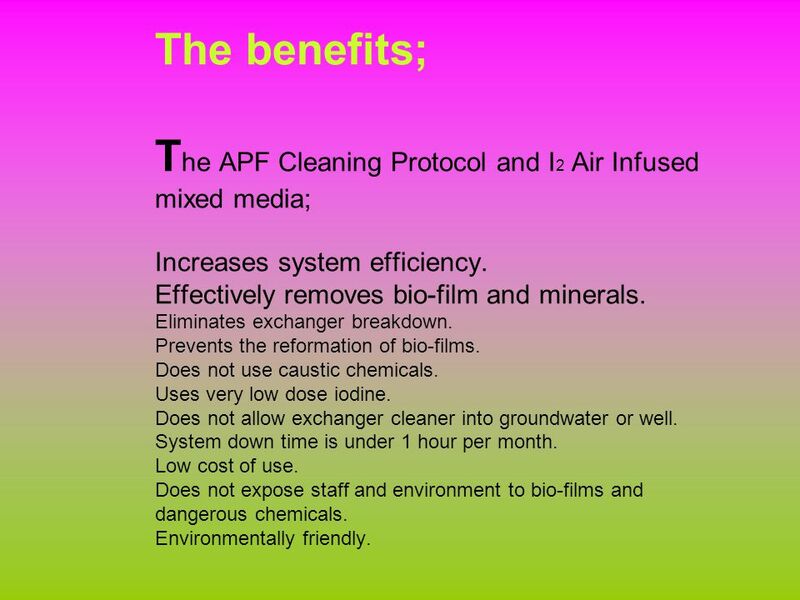 13 The benefits; T he APF Cleaning Protocol and I 2 Air Infused mixed media; Increases system efficiency. Effectively removes bio-film and minerals. Eliminates exchanger breakdown. Prevents the reformation of bio-films. Does not use caustic chemicals. Uses very low dose iodine. Does not allow exchanger cleaner into groundwater or well. System down time is under 1 hour per month. Low cost of use. Does not expose staff and environment to bio-films and dangerous chemicals. Environmentally friendly. 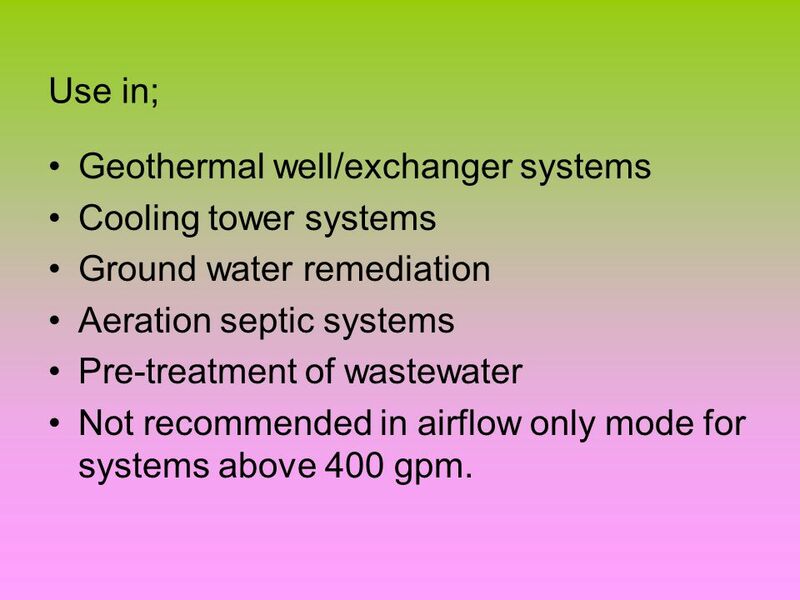 14 Use in; Geothermal well/exchanger systems Cooling tower systems Ground water remediation Aeration septic systems Pre-treatment of wastewater Not recommended in airflow only mode for systems above 400 gpm. 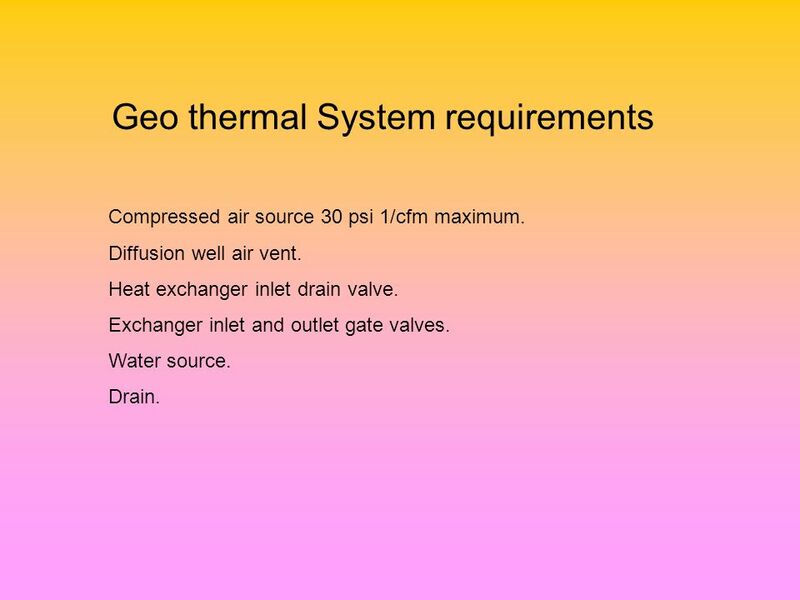 15 Geo thermal System requirements Compressed air source 30 psi 1/cfm maximum. Diffusion well air vent. Heat exchanger inlet drain valve. Exchanger inlet and outlet gate valves. Water source. Drain. 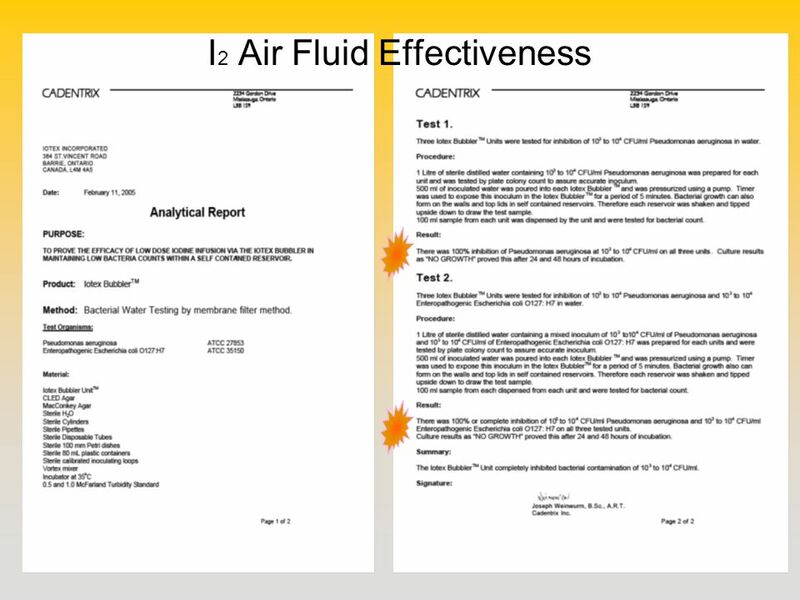 Download ppt "The I 2 Air Fluid Protocol; The Eco-friendly method for eliminating bio-fouling in heat exchangers and cooling towers utilizing I 2 infused mixed media." I 2 Air Infuser. 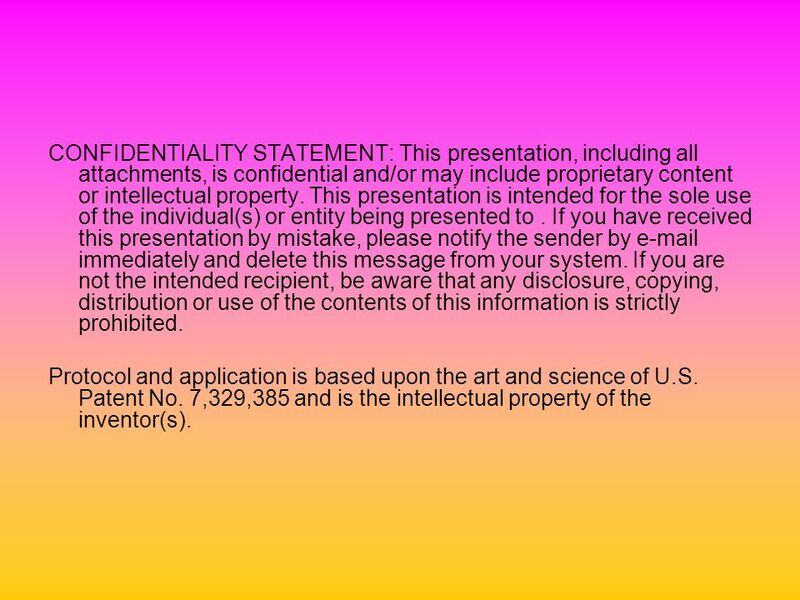 CONFIDENTIALITY STATEMENT: This presentation, including all attachments, is confidential and/or may include proprietary content or intellectual. Bacterial reduction in water and surfaces using the I 2 Air Infusion method. Click to continue. Functional benefits for heat exchangers cleaned with I 2 Air Infusion. Click to continue. 1 Seair Diffusion Systems Inc. Pulp & Paper Solutions June 2009. DRIP DISPERSAL SYSTEMS Problems and Solutions Presented by Keith Surface. Technical support provided by: Highly Pathogenic Avian Influenza Control Programme SOP Use and Maintenance of High Pressure Washer Machine Market chain. December 2010 Your Natural Microbial Service Provider Efficiency and Cost-Effectiveness. DRIP DISPERSAL SYSTEMS Problems and Solutions. Flow Equalization Surges in the ATU during peak loading are a major cause of filter clogging in a drip. 100% Natural – 100% Effective FOG Elimination Program. Anthium Dioxcide Presents The Future of Disinfection. HEAT EXCHANGERS 石 岩 March 21, 2005.